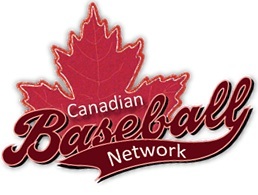 Now that I’ve covered the former Red Sox players on the Hall of Fame ballot, time to look at players of interest to Canadians. This includes both players born here, as well as those who played here. As I did in my previous post, I will just look at each player on his own merits to see if he deserves induction, and ignore the ten vote per ballot limit for now. Spending part of 13 seasons with the Expos, he is beloved in Montreal. Others have made the case for him much better than I could. He is an all-time great that just happened to be overshadowed by an all-time greater (Rickey) and played most of his career away from the media spotlight. He absolutely gets my vote. It's difficult to be an MLB player and not be recognized,but playing 13 year in Toronto, San Diego and Tampa is an easy way live in obscurity. That, the fact that he was always overshadowed by another 1st baseman - whether it was Frank Thomas, Mark McGwire or Albert Pujols - and didn't have any memomrable career moments, must be what has kept him from getting more support from the voters. He also didn't have any historically outstanding years, but could be counted on to hit 30 HR and bat near .300 and get on base at close to a .400 clip every single season. Ended up with 493 HRs... before you say this was during a high offensive era and not as impressive as it would have been in the dead ball era, note that he has a career OPS+ (adjusted for era) of 134. That is well higher than contemporary Hall of Fame first basemen Dave Winfield or Eddie Murray. The Crime Dog should join them in Cooperstown. Included here because he played in Calgary. Offensively he put up a 312/418/515 slash line, good for an OPS+ of 147. There are five players in the history of baseball who were eligible for the Hall and didn't get in with higher OPS+. Voters who are keeping him out aren't doing it because he didn't hit enough, they are doing it because he was a DH for a large part of his career. Their logic is that if his manager had played him at 3rd base, and had a better fielding player DH instead, they would have voted for him. This is absoutely non-sensical. There are a ton of players in Cooperstown who were below average defensively (and most of the evidence shows Edgar was actually better than that). Edgar should be in. I already discussed him (very briefly) in my post on former Red Sox. He has my (reluctant) vote. Why is he on this list? He started his career playing home games at the Skydome in Toronto. He had good power, and was above average all around offensively, while being below replacement level with his glove at second base. He is the anti-Edgar Martinez. If he had been a first baseman, outfielder, or DH, I wouldn't be talking about him because he'd have dropped off the ballot by now. But because he has hit more home runs than any other second baseman in history, his supporters always qualify his achievements by adding "for a second baseman". e.g., he was one of the best hitters for a second baseman, he had a lot of power, for a second baseman. Bah! He was a DH playing out of position. He has the 276th best all time OPS+ among hitters. Higher than that among 2nd basemen only, but I don't give bonus points for playing a position of scarcity, when he played it poorly. Not getting my vote. Started his career in Montreal, and was an all-star for the Expos in his sophomore season. But then I think his career went downhill from there. Only three times during his 15 year career was he a league average hitter. And he was a steady, if unspectacular, as a middle infielder, although he did get recognized with the ever-so-meaningless gold glove award near the end of his career. I hope I don't really need to justify why I'm not voting for him... I would be surprised if he even gets one vote. He played in Toronto for a couple of seasons in the middle of his career. 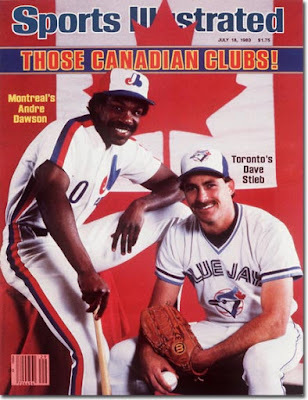 And he much have liked that Canadian cooking, because he hit 25 home runs at the Skydome the first season he was there which helped him earn all-star honors for the fourth and last time in his career. But like Grudz above, I don't need to justify why he isn't getting a lot of attention on an alread crowded ballot. That’s it for the guys on here. Along with the Sox, that’s nine checkmarks I’ve already penciled on my ballot. Still have Bonds, Griffey, Trammell and more to go. Will need to make some cuts over the next week before I finalize and publish my ballot.